TIFF firmly believes that film is a valuable learning tool for any classroom. Gain access to professional equipment and knowledge through the In-Class Filmmaking Residency or through Hands-On Filmmaking Workshops at TIFF Bell Lightbox. Learn to think critically about film and gain insights from industry professionals and creators through the TIFF Youth Film Series. Then use our included Teacher Resources to help apply the skills learned at TIFF to your lessons. Film — whether watching it or making it — enables students to think critically about big ideas and encourages students to share their unique voice. 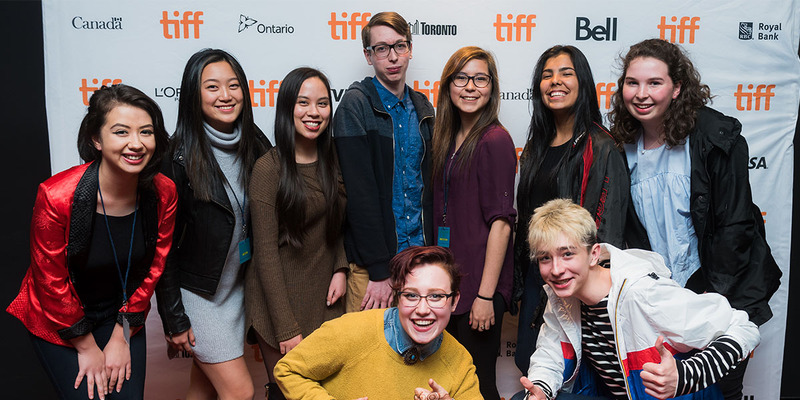 We encourage all classes to submit their short film for competition in the 2019 TIFF Jump Cuts High-School Filmmakers Showcase. Submissions close March 18, 2019. Submit today! Finalists will be announced in April 2019. The TIFF Jump Cuts High-School Filmmakers Showcase will take place on May 10, 2019. If you have any questions or concerns regarding the submission process, please reach out to us at submissions@tiff.net.